I keep seeing these "100 things" blog posts popping up, so I thought I would do one as well... some of these might surprise you! Jody's "100 things" will be coming shortly. Or maybe "10 things." 1. Amy Grant was, and still is my favorite. Specifically, "House of Love" and "Songs From The Loft." My cousin Daley and I have this in common. 2. I'm OCD about the STRANGEST things. Ask Jody... If only I was OCD about a clean kitchen or bathroom. If only. 4. In college I never thought I'd say this, but I really miss playing basketball. 5. If I could be one place right now, I'd be in Greece. And I'm not ashamed to admit that this desire pretty much stemmed out of my viewing of Sisterhood of the Traveling Pants pt. 2. 6. I wish I could be Faith Hill's friend. 7. My 6th Grade kiddos say something hilarious, without meaning to be funny, every single day. One of the many reasons 6th grade is a blast to teach. 8. I wish Jody was out of law school so we could have a baby. TMI? 9. I might be the worst singer of our lifetime, and if I don't know the words to a song, I'll make up my own, much more creative, lyrics. 10. When I was little, I read for hours every day. Anne of Green Gables was my favorite. I probably read it ten times. 11. My favorite season usually depends on whatever is right now. So, Fall is my favorite. I'm a lover of change. 12. I still love to read and wish I more had time for it. 13. I have a bad case of undiagnosed ADD. Wish means, at all times I'm in the middle of 3 or 4 books. 14. I'm not a fan of tattoos. 15. Halloween is my least favorite holiday. 16. My friend Abby and I used to be obsessed with gymnastics, and wanted to go to the Olympics, and be like Shannon Miller. I'd be the tallest gymnast ever. 17. I'm a twin. With Kalee. And I love her more than anything in the world. 18. I had a horrendous amount of bangs growing up. Thanks mom. 19. I have a unibrow. Kinda. I have one solid hair that always pops up right in between my eyes. I somehow don't ever notice it until it's either pointed out to me by my laughing husband, or it's long enough to be extremely noticable. 20. It's stressful at times, but I absolutely love my job. 21. I wish I could re-run my whole wedding weekend. It just went by way too fast. 22. Christmas is my favorite holiday. Possibly because of the Amy Grant Christmas CD? 23. I'm not a foodie. If you ask me about a restaurant, I'll probably tell you I liked it. And I think most food is GOOOOD. 24. I could eat Mexican food everyday. Or Sharky's. 25. I was sent to the principles office in 4th Grade. 27. I've never really been a dog person, but Jody is hoping to change my mind so we can get two great danes whenever we get a house... someday. We'll see. 28. We haven't had cable since moving to Dallas. Thank the Lord for Hulu. The Office, Modern Family and Glee are our favorites. 29. Sometimes I refer to ACU as a cult (lovingly of course), but I absolutely adored my ACU days more than anything. I hope my kids want to go there someday. 31. My grandparents were "Mr. And Ms. ACU." 32. I'm not very domestic, but I want more than anything to be a pro at cooking, sewing and crafty projects. I need to take some lessons or something. 33. I have the baby name app on my iphone and already have my list narrowed down. 34. Jody secretly loves when I talk about babies, baby names, etc. He would never admit it. 35. I tried to dye my hair brown last year. Didn't work out so well. My students informed me it was more of a seaweed color and wanted to know when I was going to dye it back blonde. 36. I've developed a severe case of claustrophobia in the last year or so. 37. Traffic and crowds kind of stress me out sometimes. Maybe that's why I love Graham so much. 38. I love writing / receiving notes. 39. I can be forgetful. If I neglect to call or email you back, forgive me. And try again. 40. I wanted to go to the Kanakuk Institute after college. 41. I usually assume the best. 42. In my ideal world, I would live in the same neighborhood as my family, or girlfriends from college. 43. Sour straws and swedish fish are my favorite candies. 44. 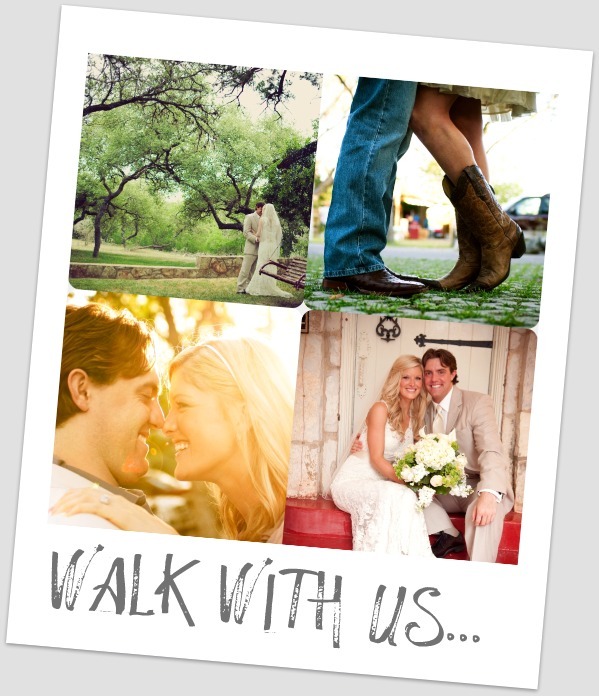 If you received a wedding invitation from us, you realized that we have the most TEXAN names. ( I refuse to say hick). Judd Jody and Kristee Sue. 45. Because of this, we should probably give very sophisticated names to our children. I'll look into it on my app. 46. I wake up at 5 o'clock most mornings. 47. I think I would love teaching elementary and coaching High School. Inconvenient. 48. I played 5 sports in High School. 49. I love Jesus, which makes me a Christian. But Christians confuse / annoy me a lot sometimes. 50. Large hoodie sweatshirts are my fav. 51. I can't wait for us to own a house. 52. Breakfast is my favorite meal to eat at a restaurant. 53. I probably won't decorate my house for Christmas until we have kids. 54. When I laugh really, really hard... it's not pretty. I usually slobber. 55. I can usually fall asleep any time, any place. 56. But I wish I could make myself go to bed early. 57. I love going to weddings. 58. For some reason, talk radio is very entertaining to me. 59. Sometimes I wish we lived in Abilene. 60. I have the greatest cousins, aunts, uncles and grandparents in the world. 61. I love grammar, but I always get confused between then and than. 62. Salty is better then (than) sweet. 63. I wish I wasn't a pack rat. I'm admitting it, I get too emotionally invested in "stuff." 64. I'm 5'11. Jody is 6'3. We wear sizes 11 and 13 shoes. I'm guessing we will have some pretty large, but cute, children with ginormous feet. 65. Jody and I both have football coaching dads. One of the many reasons we love the fall. 66. I love picture frames, books, and shelves. 67. I love music. Thankfully, I've matured out of my "I only listen to country" days. 68. I snack. A lot. 69. Rain makes me happy. 71. I wish I was a really good writer like my friend Lauren. When I was little, I wanted to be an author. I think that would be such an ideal job. I'm willing to say, that's not my gift. 72. I love everything about being married. 73. I'm a blog stalker more than I am a facebook stalker. 74. Loose leaf tea is my favorite. 75. I would like to have friends over for dinner more often. 76. I lived in Orange County, California for a year and wish I would have taken more advantage of the ocean. 77. Road trips are also my favorite. Lots of great memories. 79. I've never had braces or glasses. I tried to lie on an eye test in 6th grade because I REALLY wanted glasses / contacts. 80. I'm very proud of my Marine Brother who is going to Embassy Duty Training in January. He is such a stud. 81. I talk to my mom everyday. 82. My American Girl of choice: Samantha, of course. 83. To say I get lost a lot is an understatement. 84. I would love to travel more. 85. I can't remember the last time I wore shoes with a heel. 86. I'm perfectly comfortable speaking in front of Middle School students, but I freak out a little when I'm speaking and there are adults in the room. I wish I was a better speaker. 87. If I'm taking on a new craft / project, I really need my friend Becca to be there to make sure I'm going it right. Too bad she lives 3 hours away. 88. I'd rather be cold than hot. 89. I was born in Amarillo, and most of my extended family lives there. I could live in Amarillo. 90. I hope I get to coach my kids someday. And I hope they like sports. 91. My weeks are kind of exhausting, so there is nothing I love more then a lazy, relaxing, Saturday / Sunday afternoon. I wish I hated doing nothing. But I don't. I love it WAY too much. 92. We want 4 or 5 kids, and possibly adopt? 93. Jody takes care of all things money in our household. Thank goodness I got married when I did. 94. I love spending time in coffee shops, but Jody is not a fan of coffee or coffee shops. 95. I can't wait to meet little June Jeffrey. 96. My husband and I dated for four months before getting engaged. 97. When I played basketball for ACU, Jody loved to yell at the refs if they made a bad call. Embarrassing. 98. I have a deep admiration for people who do ministry in foreign countries. 99. Constant complainers annoy me like none other. 100. My favorite book at the moment is "Crazy Love" by Francis Chan. So simple, but so incredibly profound. i definately blog stalk more than facebook. and i am just as undomestic as you..i dream of being creative and being able to cook and craft. hope to see you soon! miss you! I love this list!!!!! You just made my night! I could copy 90% of your list and make it my own. :) We are so alike! So glad you did this!!! - didn't know Samantha was your American doll of choice. Love her. - I'm glad you struggle with 'then' and 'than' I struggle with 'too' and 'to'. - I love how much you love you're family! - I think you should move to Abilene too or to. Oh and.....you're not domestic??? puuuh-leeze....your casa ia AHdorable and you cook wonderfully.